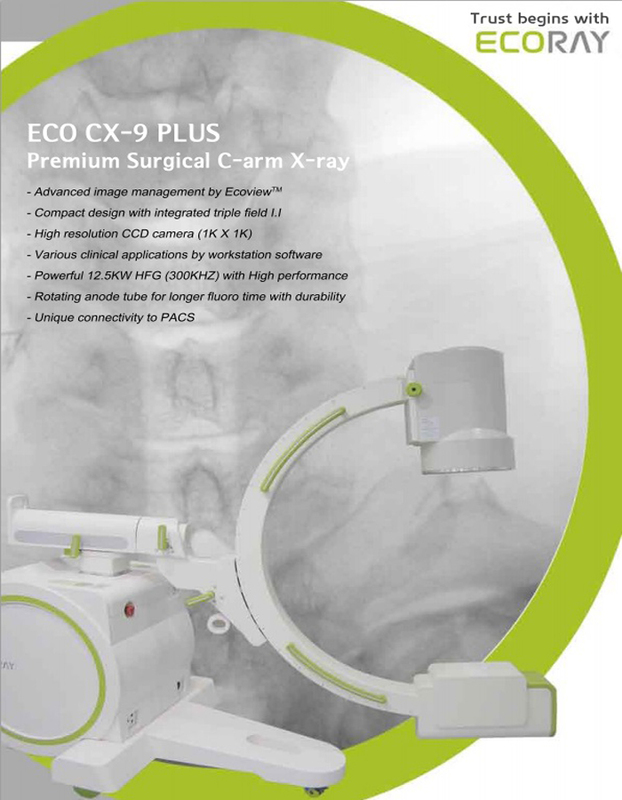 CX-9 PLUS is the perfect choice for demanding procedures in neurosurgery, vascular procedures and cardiac applications. The powerful 12.5kW generator and rotating anode enable to produce high-quality images with minimal dose exposure. The CX-9 PLUS is the ECORAY’s product family. This surgical mobile C-arm was designed for orthopedic use to provide a variety of movement at limited space which can lead to the most convenient features in the surgery room. Superb maneuverability, intuitive interface, and advanced fluoroscopic features optimize the most efficient workflow in the operating room. 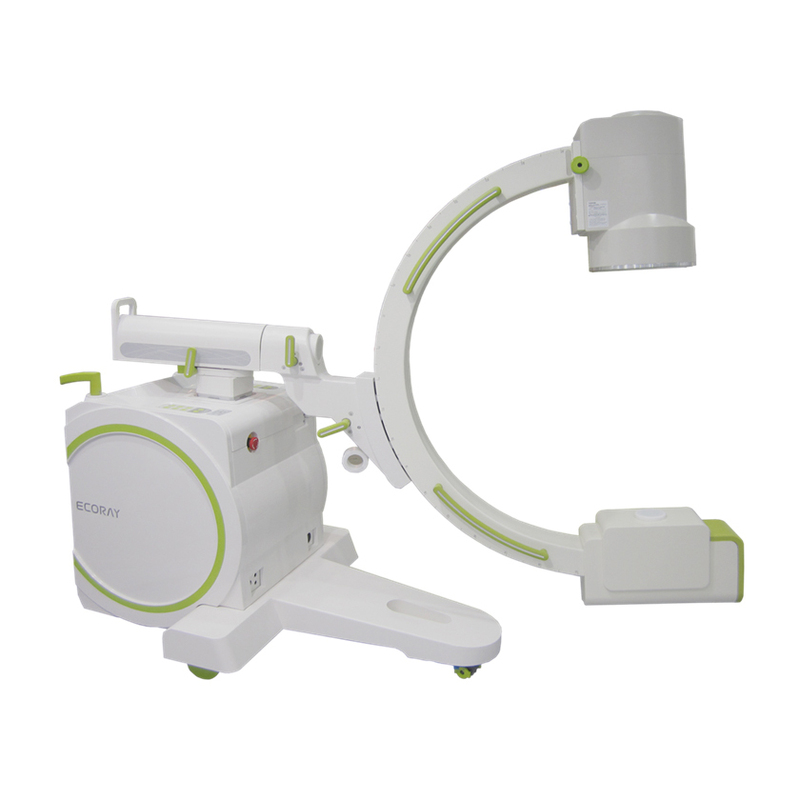 Our mobile C-arms, with 9” image intensifier, provide quality images at low X-ray dose. The machine is easy to steer, position and operate. Also, it has superb heat management capabilities. Rotating anode power and pulsed exposure showcase are innovative as well.